Sometimes you just need something fast and comforting. Those days when I work an 11 hour shift and cannot stop thinking about Sonic chili cheese dogs are the days I make this beauty. 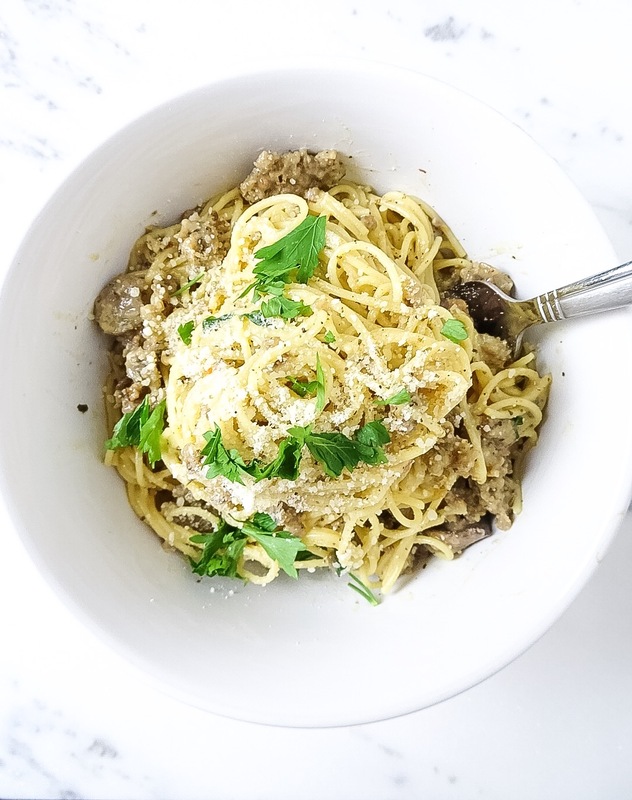 A classic carbonara typically has pancetta or bacon, but I really wanted a more comforting Italian vibe. I used a spicy Italian sausage, but you can honestly use anything that has a higher fat content. Even ground beef if that is what you have on hand. Can we talk about this gorgeous bright green parsley? This is my favorite time to shop for veggies and herbs. Everything is so green and ripe. 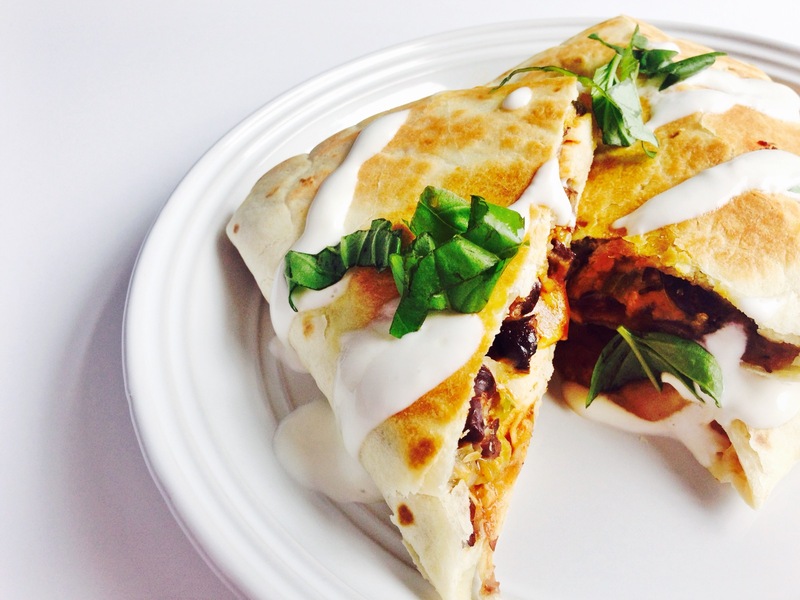 Parsley is not necessary, but I think it gives this dish a fresh pop in a world of gooey cheese. 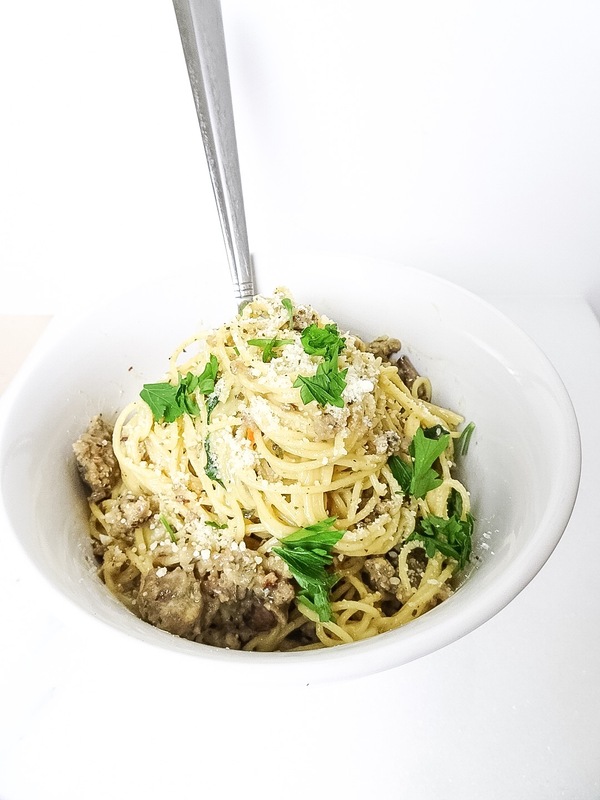 If you have never tried a cabonara before try and imagine your favorite noodles with a light creamy sauce bites of sausage (or pancetta) then tossed with tons of grated Parmesan topped with crushed red pepper flakes. If you wanted to go the low carb route you could even swap the noodles for spaghetti squash or zucchini noodles. 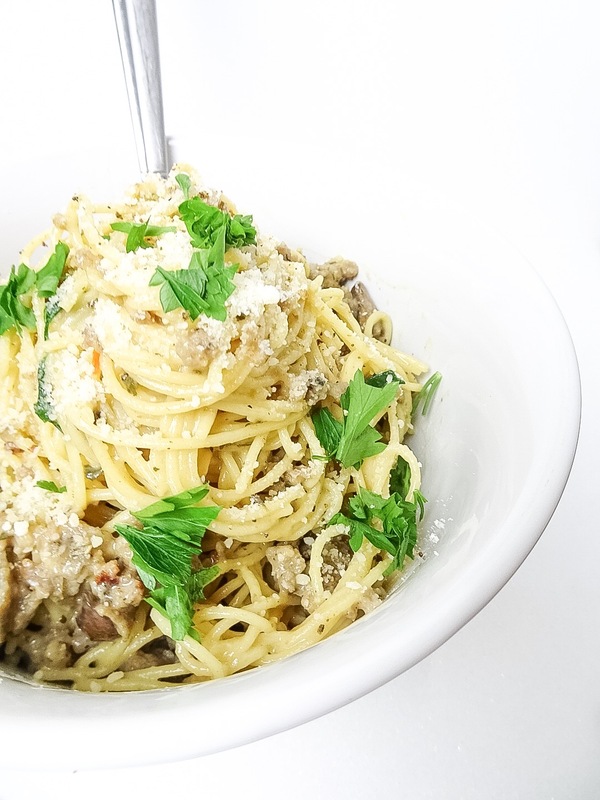 Light creamy carbonara pasta with sausage. This is one of the best go to meals for a late night when you just hate the thought of standing over the stove. It comes together so quickly. If you skip the sausage the longest part would be waiting for the pasta to cook, but don’t skip the sausage – it is just too good!